At Feroce, the coaches we’ve tapped are well-prepared for the very different rigors of coaching couples. Couples coaches should, ideally, possess the credentials and experience of qualified couples counselors. The couples dynamic is rarely suitable for the average coach, who lacks such expertise. 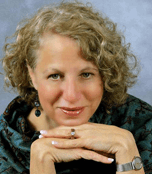 I present to you below my hand-picked couples coach, Coach Susan Epstein, LCSW. Are you concerned about problems in your relationship? Looking to improve your communication as a couple? If you’re experiencing any of these, it’s important that you take prompt action to improve your relationship, because once these behaviors have taken hold, they’re likely to worsen unless you use specific strategies to turn things around. Most couples who fall into these patterns do so because of a lack of awareness of the patterns they’re in, as well as deficiencies in learnable skills such as communicating, dealing with conflict, or expressing intimacy. With the right knowledge, awareness and support, couples can improve communication so they’re able to successfully resolve conflicts. When they build an atmosphere of trust, it becomes easy and natural again to feel increased intimacy. Couples who are deciding about their relationship in a crisis following affairs or episodes of bitter conflict can also benefit from coaching. Your goal may be repairing a relationship, parting with as much stability as possible, or just reaching agreement on how to proceed. And finally implement your plan and live your dreams. Home cooked meals every night. Being the best Mom or Dad to the kids. Eating right, watching our weight. …. And a close intimate, satisfying relationship with our partner! Couples coach Susan Epstein, a practicing therapist and coach, has exactly the blend of skills and background for the couple interested in getting over rough spots and learning how better to communicate with each other. I can help you when . . .
At your home, work or anywhere in the world. On your sofa, in your kitchen, in the backyard. On the phone – I’ll conference call you in. In person- if geographically possible! “But,” you might say, “we both work full time and the kids demand all of our attention!” I’ll help you find time to catch up on each other’s day, share information about your thoughts and ideas and ask for and get support. Couples Coaching will put you both at the top of the list…and when you nurture and support each other, everything else seems a lot more manageable. So, if you want a close intimate, satisfying relationship with your partner, request a free session with me. But just a little caveat: some days the laundry just won’t get folded and there might be some dishes in the sink when you wake up in the morning. But it will certainly be worth it! Our couples coaches serve clients in Los Angeles, San Francisco and the Bay Area, Miami, Chicago, Detroit, Minneapolis, St. Louis, New York City, Charlotte, Philadelphia, Dallas, Houston, San Antonio, Madison, Milwaukee, NYC, Washington D.C., San Diego, Denver, Jacksonville, Atlanta, Honolulu, Baltimore, Boston, Kansas City, Omaha, Las Vegas, Newark, Cincinnati, Cleveland, Columbus, Dayton, Portland, Pittsburgh, Nashville, Fort Worth, Salt Lake City, Seattle, San Jose, Phoenix, Tucson, Tampa, Olympia, Spokane, Tacoma, Palo Alto, Pasadena, Sacramento, Santa Monica, Greenwich, Hartford, New Haven, Albuquerque, Austin, Birmingham, Huntsville, Montgomery, Eugene, Salem, and many more!